Let's talk details. 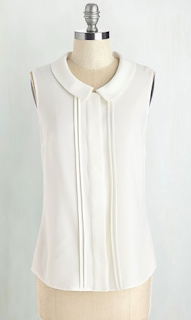 A simple detail that completely changes the look of an item: the pin tuck. 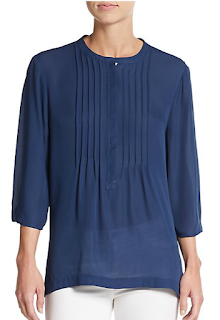 It is such a quiet feature that today we will look at not on pants where you expect to see a pleat, but rather tops. A pin tuck detail on a blouse elevates a print or a solid with just a touch of something extra. 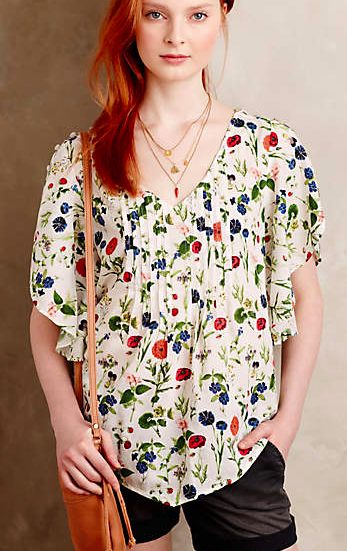 What a beautifully organic print on this blouse. 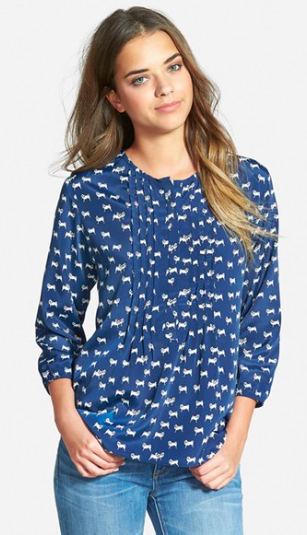 I love the flutter sleeves and it's machine washable. And here we see a solid option. The tiny pleats are very delicate on this silk top. Welp, this is already in my cart. Zoom in. Yes, those are tiny pugs. This is the kind of top you keep around for all of your printed pant/skirt options. It's quiet but still has a lovely fitted look. I don't think I need to say much about this trend. It's simple, works for any print or color, and it easy to find in any style.